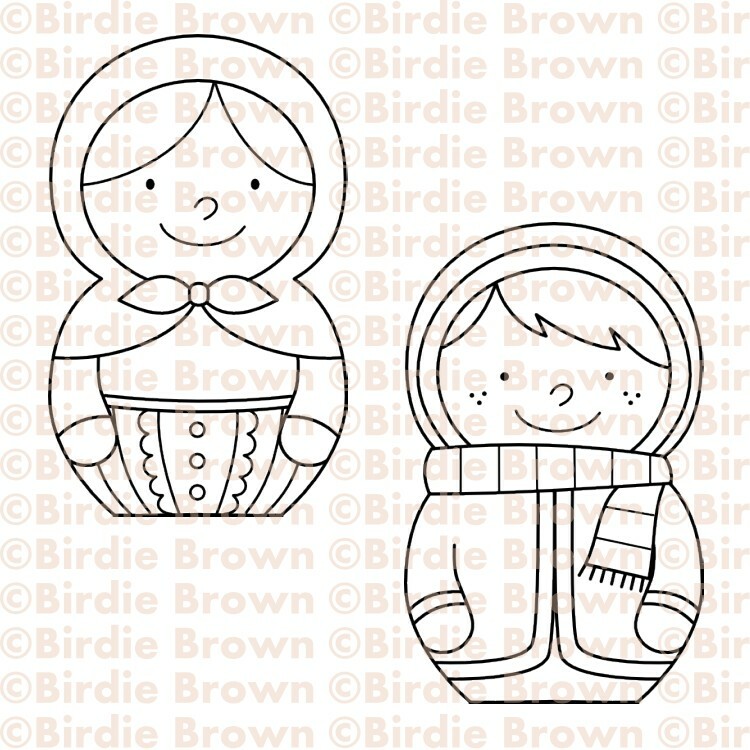 I've just added a new item, Matryoshka Doll set, to my Etsy shop. Make sure to stop by the Birdie Brown and check it out! So SUPER cute! 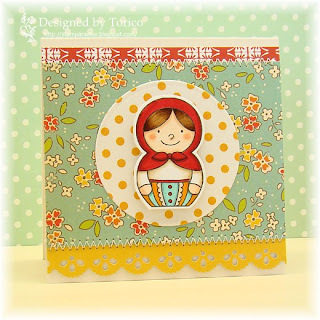 LOVE the colours and patterned papers you used! 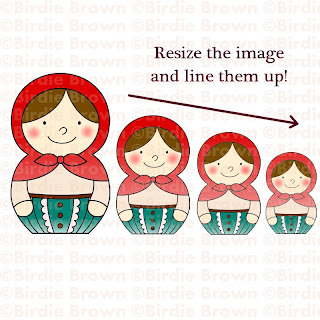 OMGoodness these are so adorable I love you version of nesting dolls!! *LOVE*!! 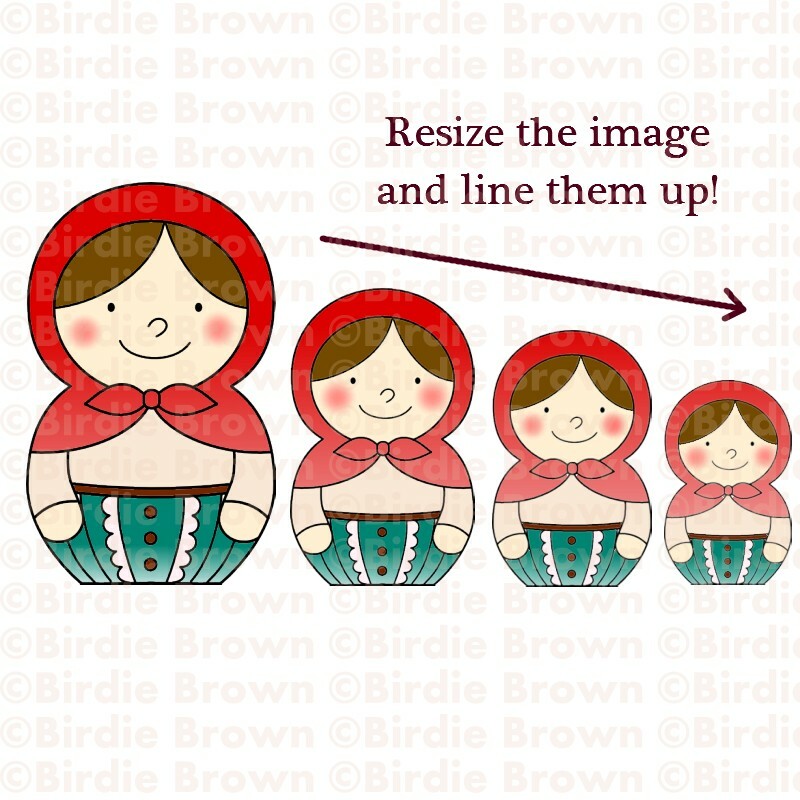 I am so happy to see this dedicated to your Birdie Brown images! I have mine and will share soon when I get the projects done. They are the cutest!!! Big hugs, Torico! Gracias, Torico, me lo guardo es precioso. These are wonderful! 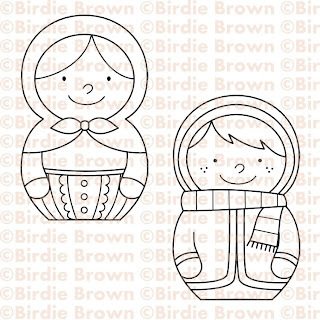 A friend used to bring me these dolls from Austria, so I must send him a card using these. Thanks so very much! 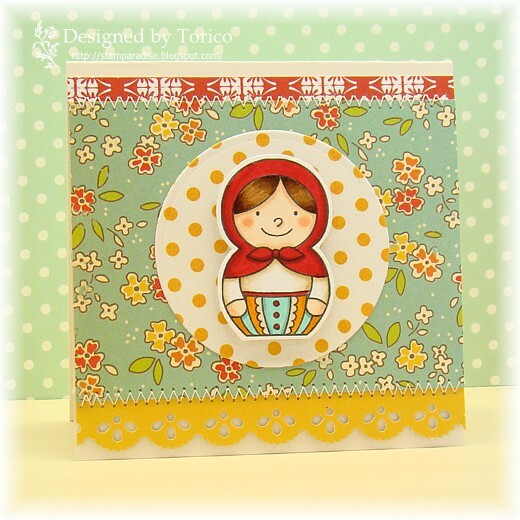 I first looked at the images and thought what the heck would I use them for, and then I saw your darling card! The paper really makes the image stand out. So cute! I love these Torico! Got a fewcards using your gorgeous creatives nearly completed which I'll post up soon!